The virtual hardware details window displays information about the virtual hardware configured for the guest. 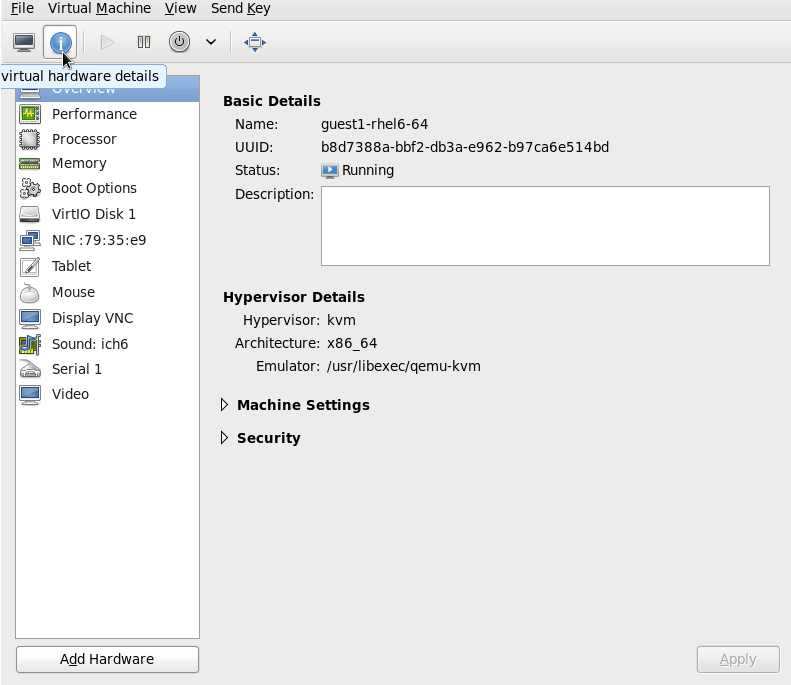 Virtual hardware resources can be added, removed and modified in this window. To access the virtual hardware details window, click on the icon in the toolbar. Clicking the icon displays the virtual hardware details window. In order to attach the USB device to the guest virtual machine, you first must attach it to the host physical machine and confirm that the device is working. If the guest is running, you need to shut it down before proceeding. 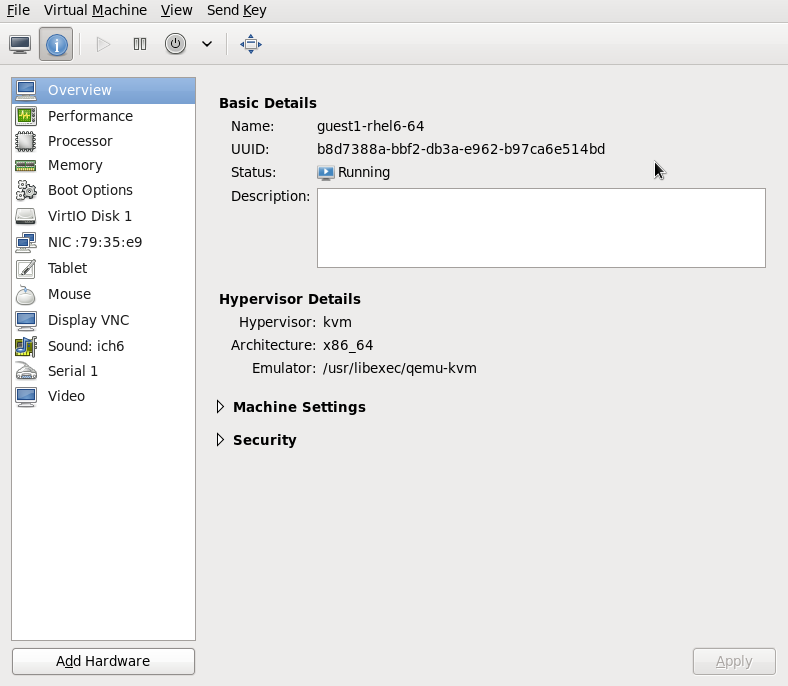 Open the guest virtual machine's Virtual Machine Details screen. 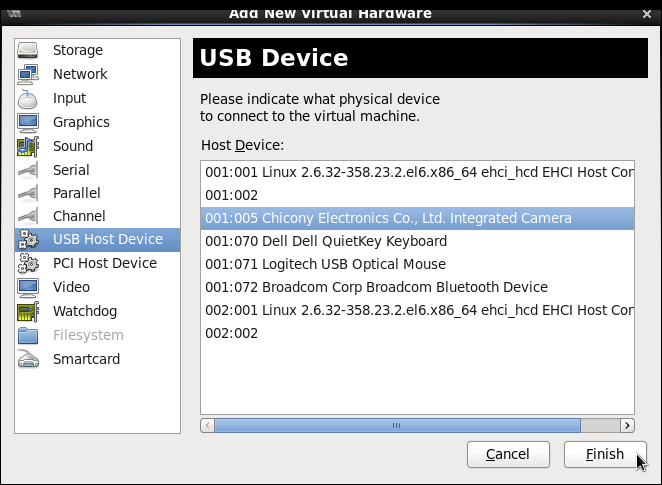 In the Add New Virtual Hardware popup, select USB Host Device, select the device you want to attach from the list and Click Finish. 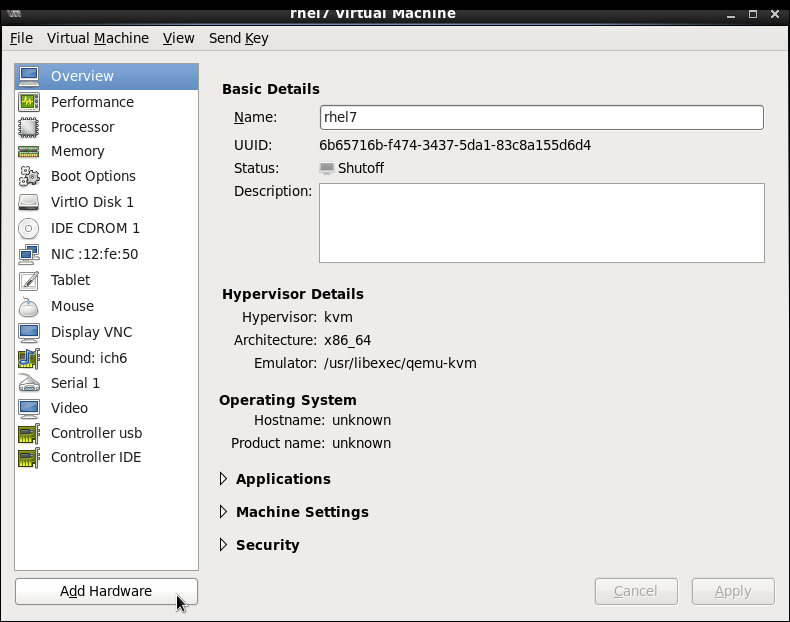 To use the USB device in the guest virtual machine, start the guest virtual machine.